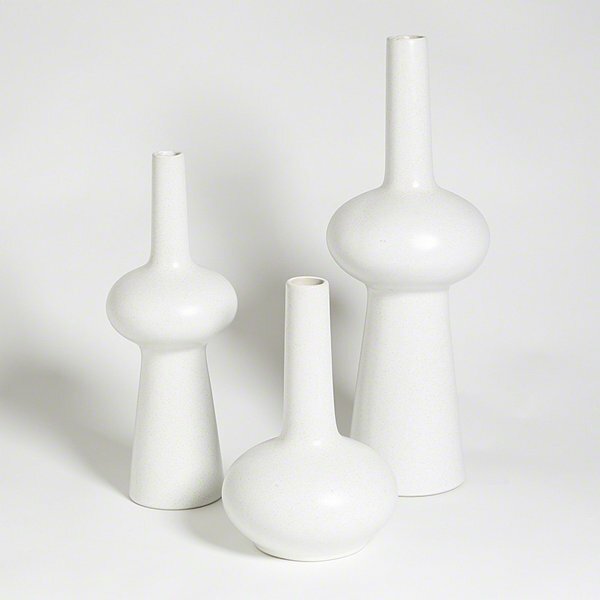 Studio A 7.80189 - These contemporary ceramic vases have a faintly pebbled finish. Available in three sizes in Matte White or Iceberg. Shown as a set, but sold individually.